Salman Khan took to his Instagram page on Sunday to share a very special photograph and a video. The hunk of an actor posted a pic with his mother with a beautiful caption. He wrote: "With the love of my life (sic)." In the pic, we can see Salma Khan resting on son Salman's shoulder. 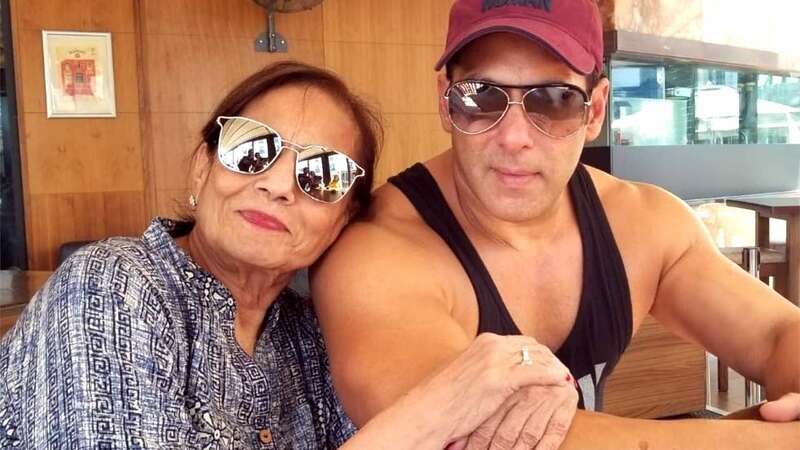 The superstar, who is in Malta now, to shoot for his upcoming film Bharat, also shared a video that shows him walking hand-in-hand with his mother. The mother-son duo was exploring the Mediterranean island. Bharat is being helmed and produced by Ali Abbas Zafar and Atul Agnihotri respectively. The film had former Miss World Priyanka Chopra on board but she walked out of it a few days back. Now, Salman's former real-life ladylove has stepped in to play the leading lady. Bharat, an official Hindi remake of South Korean film Ode to My Father also stars Disha Patani, Sunil Grover, Aasif Sheikh and Tabu in supporting roles. Bharat set in the backdrop of India in the 1940s and will take us through the events during the country’s partition. Not just that, the film will showcase significant events over a period of 70 years since partition, reports suggest. Te film will mark Salman and Zafar’s third collaboration. The duo has already delivered two blockbusters – Sultan and Tiger Zinda Hai. Most of Salman Khan's films in the recent past have hit the theatres on the occasion of Eid. From Wanted in 2009, to Dabangg in 2010, Bodyguard in 2011, Ek Tha Tiger in 2012, Kick in 2014, Bajrangi Bhaijaan in 2015 to Sultan in 2016, Salman has delivered blockbusters. Tubelight in 2017 was an exception and so was Race 3 that released this year. Race 3 scored decent numbers at the Box Office but couldn't impress the critics.